Do engaged employees mean more productivity? 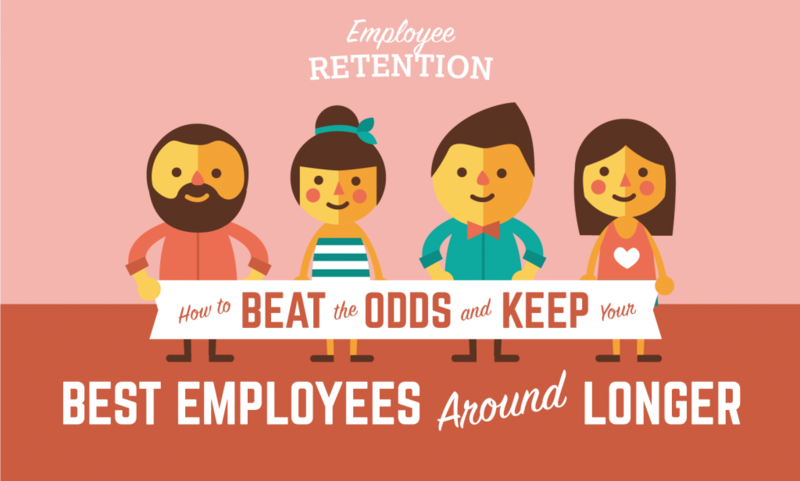 Here’s our cool infographic where we explain the importance of Employee Engagement and why it’s essential for a great company culture and team happiness. Employee engagement does not mean employee happiness or satisfaction. That is not enough! An engaged employee is both happy and satisfied but he has the emotional commitment to the organization and its goals. That’s right! 74% are not engaged. The largest percentage of disengaged employees is found on the Y Generation, those born between 1978 and 1994. Engaged employees are motivated by their leaders. RECOGNITION AS A KEY FACTOR – WHY EMPLOYEES LEAVE? 60% Don’t feel their work recognized. 50% Different values than their employees. 40% Career goals don´t match employees plans. 40% Don’t respect the person they report to. 69% would work harder if they were better recognized. 63% of those who don’t feel recognized intend to quit their jobs in the next 2 years. 78% of U.S workers say recognition is a part of their daily motivation. Money is not everything! – Organizations that use reward based recognition spend 38 billion every year but only 29% feel recognized. 27% Praise/Recognition – Best ways to praise? Diversify reward to meet each employee needs. 18% Monetary Rewards – Why do monetary awards rank so low? Cash does not stand out as an extra incentive.